There’s been a lot of talk about the “Sell in May and Go Away” theory lately (it aways happen at the end of April). And unless you want to blindly follow an idea, it doesn’t make any sense. Why guess when you can act upon what you observe? How do I make these conclusions? Have we had a lower swing Low point? (No) Have we had a lower swing High point? 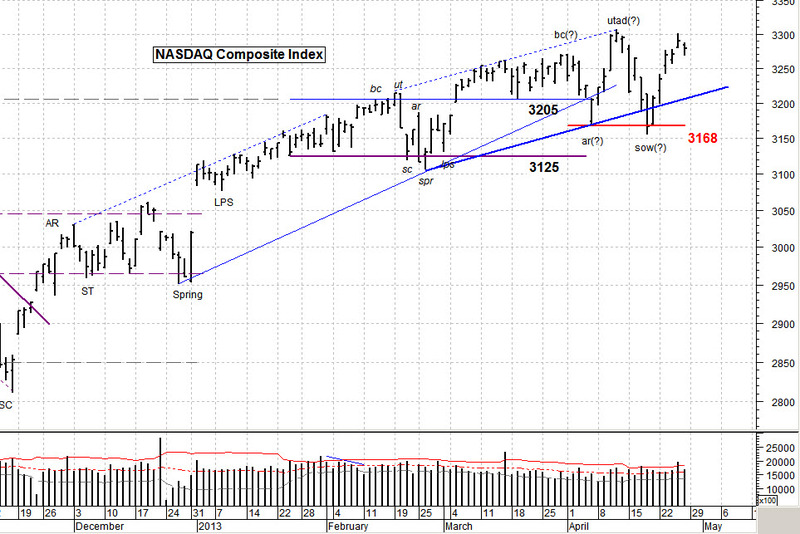 (No) , so the bearish guess is just that . . . a guess. This market has lost momentum, but that does not mean it must go lower. We’ve been spoiled since the first of the year. Looking at the chart, it has gone up nearly every week with much of a breather. That’s not “natural” and can’t continue. I’m still looking at a Close below 3168 before I’ll change my mind. Why guess? 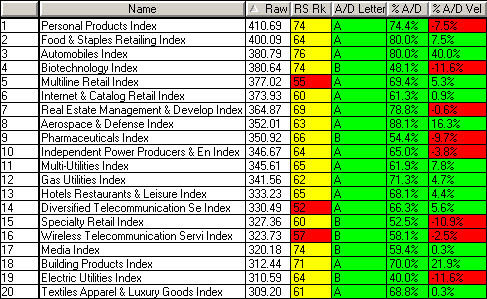 The table below shows the sectors that are strongest. I note that the Relative Strength of even the strongest sectors are color coded Yellow. Another indicator that this market is pausing for now. Have a good week. …………. Tom …………..